Posted on: November 13th, 2017	by Jennifer A. Please note Jersey Family Fun does participate in affiliate programs. If you use our link to purchase Disney Pixar COCO movie tickets, a small commission does go to Jersey Family Fun to support our free services to readers, but this does not affect your ticket price. We have been talking about the Disney Pixar COCO movie since March! I can not believe that now we are only days away from its release on November 22, 2017! I have been excited about this movie from the start. My good fortune to not only attend one, but to attend both #PixarCocoEvent press junkets has only made my love for the movie grow. I can not wait for you all to see it with your own families. I know I’ve already made plans to take one of the grandmas with us when I take my boys to see it next week. 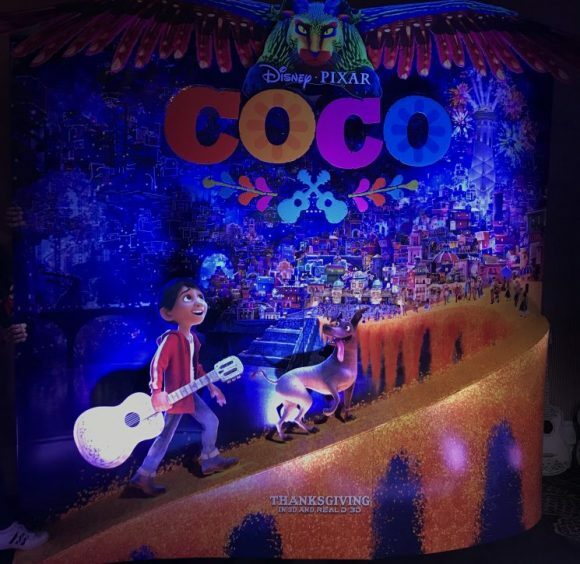 So as you count down the days till the Disney Pixar COCO release, I hope you’ll enjoy my review, the trailers, my articles and that it does help you find everything you want to know about Disney Pixar COCO. There is so much to love about COCO. I could go on and on in my COCO movie review, but I don’t want to give away too much and I certainly don’t want to spoil anything. 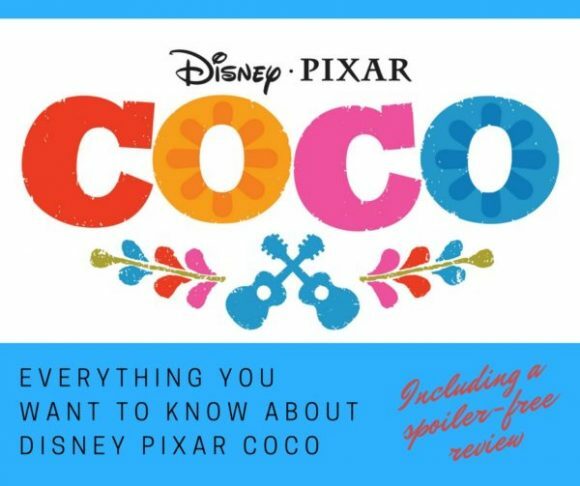 What I can tell you is that there are 7 reasons you and your kids will LOVE Disney Pixar COCO. A boy follows his dreams. How many of us have had something we are passionate about? Sometimes our parents support us. Other times they may not understand. Miguel is that child in all of us, who has something he is passionate about. In COCO we ALL become part of his journey as he follows his dream while also trying to be respectful of his family’s beliefs and wishes. 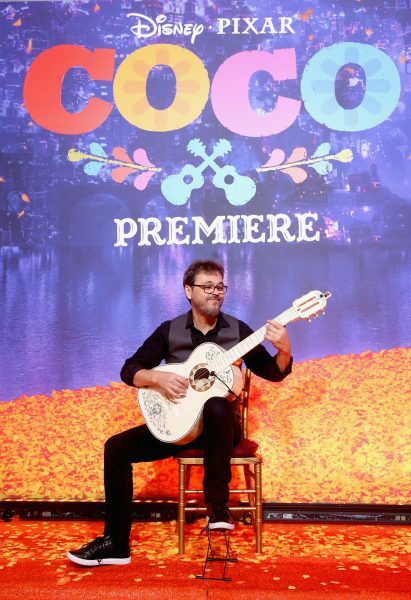 The music of COCO will have you wanting to sing along. 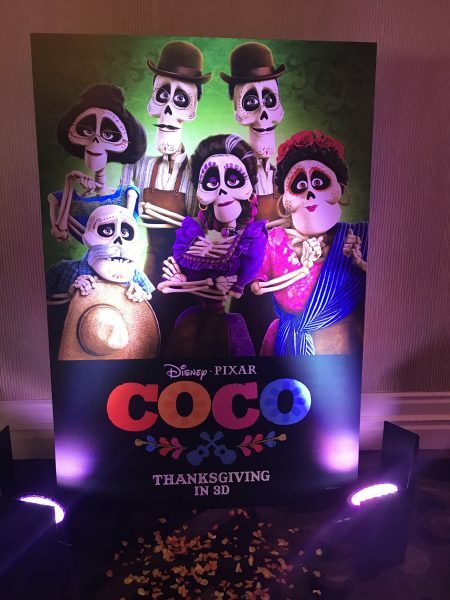 It’s been almost a week since the red carpet premiere of Disney Pixar COCO and still the song “Remember Me” is playing in my head. I had to come home and look up the video to find the lyrics. There is such a range of beautiful music in COCO. I can’t wait to tell you more about that music of COCO in an upcoming story. For now, you can get the Disney Pixar COCO soundtrack by clicking our affiliate Amazon link. Take a listen as Anthony Gonzalez sings us Remember Me and Alanna Ubach sings us a lullaby she sings to her newborn baby. Animation like you’ve never seen before. Yes, there have been skeletons in movies before, but never like this. 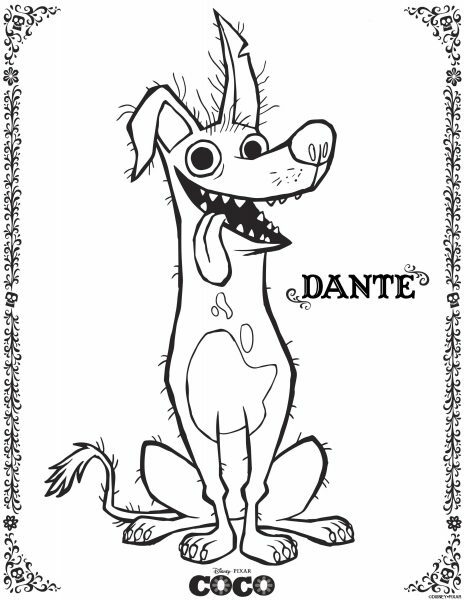 With colorful skeletons and Alebrijes flying through the air, new computer programs had to be coded and created to animate characters not only so they would be realistic but also so they would be relatable and not scary. 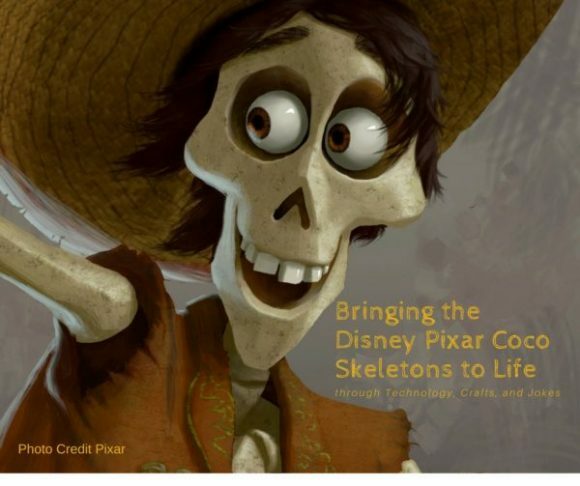 You can read more about the animation in my article, Bringing the Disney Pixar Coco Skeletons to Life through Technology, Crafts, and Jokes. The most incredible vibrant art. The Land of the Dead, the cemetery are some of the most beautiful scenes you will see in a movie. The cemetery has such a range of oranges, reds and more from the candles to the marigolds. In the Land of the Dead, we see a city with multi-level buildings with lights that each turn on and off in different patterns. Each building has its own character and unique features. Family matters! In Disney Pixar COCO, not only is Miguel interested in following his passions but he is also curious about his own family. When he knocks off a picture from the ofendra he becomes suddenly curious about the man (without a face) in the picture. He immediately thinks it’s Ernesto de la Cruz and that Ernesto is his grandfather and the man who can give him the blessing he needs to return back home. We are also witness to what happens when family members have a misunderstanding and how they can come back from that. Traditions are important! Every family has them. 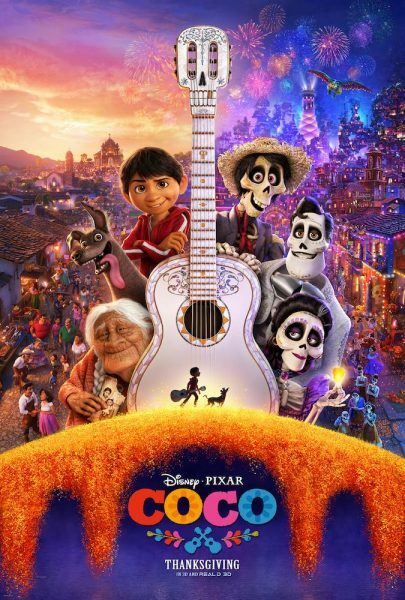 If your family celebrates Día De Los Muertos or has a connection to the Mexican culture you may recognize your own family in COCO. If you don’t COCO is such a great way to get introduced to the Day of the Dead holiday. It’s not complicated. It’s not scary. It’s a beautiful day to celebrate and remember loved ones who have passed on. It’s a way to open the door to discussions with your kids about what happens when you die. The all-Latino cast of Disney Pixar COCO told us time and time again during the interviews, how thankful they were to have a film that celebrates their culture with people that look like them. Even Anthony Gonzalez’s mom took some time to come up to us, after our interview with Anthony to thank us for showing our support for a movie that is so important to the Hispanic community and does so much to bring us all together. Yes, Carolina. COCO does a wonderful job of explaining what Dia de los a Muertos is and why it’s celebrated. The movie shows a lot of the symbolism and explains the meaning behind the items such as the offendra, the marigold path, candy skulls, etc. 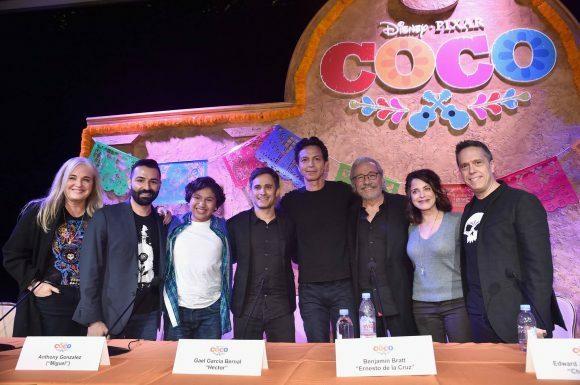 Disney Pixar COCO was released in Mexico before being released in the United States. It was released prior to Dia de los a Muertos there. Is COCO scary? Will the skeletons and Alebrijes be scary to my children? COCO is not scary. Special care was taken to create skeletons and Alebrijes that could be relatable and still somewhat realistic. Who is Coco? Why is the movie named COCO? Coco is Miguel’s grandmother. I can’t tell you any more than that without spoiling some of the movie. Do you have a question you want answered? Comment below. Take a look at the first Disney Pixar COCO trailer that was released March 15, 2017. This Disney·Pixar’s COCO trailer was released June 7, 2017. Then we got to see more in this COCO trailer. The final COCO movie trailer. 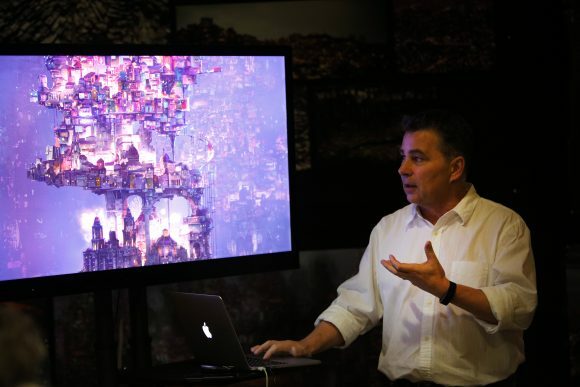 We’ll share more Disney Pixar COCO behind the scenes featurette as they become available. Our stories with the creative team at Disney Pixar COCO about how they created the characters and animation in the COCO movie. More than Mariachi, What I’ve learned about Mexican Music. How to Teach Kids about Day of the Dead Día De Los Muertos and learn more about their culture. We have some suggestions in this blog post, The Best Children’s Books About Day of the Dead (Día de los Muertos). What Makes Disney Pixar Coco so Special? COCO opens in theatres everywhere on November 22, 2017!